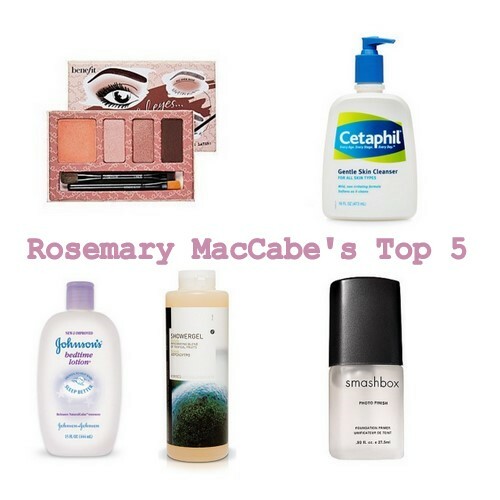 Take five of my favourite bloggers over five weeks, talking about their top five favourite beauty products and what do we have? Fluff and Fripperies new post series, Take Five Thursdays! My fourth guest blogger of the series (read the others here, here and here!) 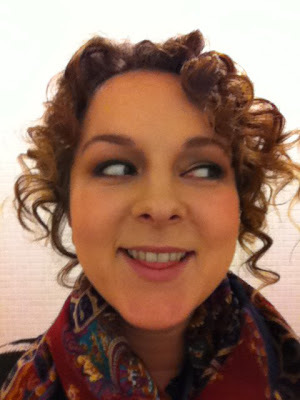 is Rosemary MacCabe, freelance journalist, stylist and blogger with The Irish Times. Girl got SKILLZ! Before I’d ever met Rosemary I felt like I knew her from her writing: she is fearless, honest, clever and, as she’ll tell you herself, hilarious – and all of this just jumps off the page when you read her. She has very soft skin, enjoys small furry animals, and likes to be known as Macca*. TWO. Benefit Big Beautiful Eyes palette - my go-to when I'm feeling a little bit lazy. The colours in the palette seem to suit every occasion, and I loved the little how-to that came with it (and is now sadly lost) as it told you exactly what to do to give yourself, eh, big, beautiful eyes. Of course. In any case I really like it - the eyeliner is a lovely brown that you can wear during the day or at night, and the eyeshadow has just the right amount of shimmer in it to wake up your eyes without making you look like you're going to a disco. THREE. Smashbox Photo Finish Primer. I'd always thought primers were a bit of a cod until a friend bought me this one; it makes your skin feel a bit like doll's skin, which my feminist side is totally against (women are not dolls, people!) but my make-up-loving side is very much for. It's a difficult few minutes' application, as a result, all that inner turmoil. But I love it! It makes my skin totally smooth and make-up lasts twice as long, at least. And I really notice when I don't wear it; on nights out my face gets quite shiny and foundation seems to slip off, especially if there's perspiration (or, as us ladies should call it, "glowing") involved, but not when I'm wearing this. Which makes me wonder why I ever don't wear it, fool that I am. FOUR. Cetaphil cleansers. As far as I know these are US-only, so I stock up whenever I'm Stateside. They're cheap as chips and suit every skin type. It's just a really simple, basic cleanser, with nothing harsh or oily or super moisturising. They won't cure acne or chronic dryness, but if you have nothing really wrong with your skin, Cetaphil is great. It doesn't damage your skin at all and will take all your make-up off; although I usually double-cleanse, as I was tipped off by a Laura Mercier make-upper (is there a better word for the women on the Laura Mercier counter?!) recently. So I cleanse with Cetaphil and a face cloth, then with a cleanser and cotton pads, then I use toner and moisturiser. That sounds quite painstaking, doesn't it?! I must be much vainer than I'd thought. FIVE. Korres shower gel. Any variety - they smell amazing and feel even nicer. I haven't had one in way too long! They can be bought in Eve @ The Grooming Rooms on . . . Clarendon St, I want to say, but also in Sephora away foreign, where you can get great sets. I'm currently using their yoghurt facial moisturiser, too, which is really lovely. But the shower gels … mmmmm. In conclusion, it would seem that I'm much more of a skincare buff than a make-up one, which is interesting, although I am entirely obsessed with keeping my skin baby soft! Ask anyone! Have you tried any of Rosemary’s picks, and what was your verdict? *I’m pretty sure. But don’t quote me. Especially not to her face. I love Benefit's BBE palette too & agree that it goes with everything - always bring it with me for a weekend away. I put baby oil in the bath, is that weird? I don't care, it makes my skin so silky and so smooth! @Emz Thanks for the Cetaphil tip, will keep my eyes peeled aroudn Dublin! @Sarah Not weird at all, in fact I must give it a try! Eh, double cleansing?!? You what now?!?! really enjoying this type of posts! Im with Rosemary on the Korres Shower gel - gorgeous stuff. Actually, anything from Korres is gorgeous! Great post, love the concept Em! Thanks folks - excited by all this Cetaphil spotting on these here shores! I've seen Cetaphil in the chemist in the Merrion Centre beside Vincent's Hospital, keep meaning to give it a go too. Now I want to try the baby oil, especially coming into winter.